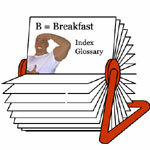 Part of The Breakfast Lovers Message Board, breakfast polls are created by Mr Breakfast to determine the habits and tastes of breakfast lovers around the world. A featured poll is closed when the respondents exceed 1,000 and a new featured poll is established. Polls are temporarily offline as we revamp our message board platform.